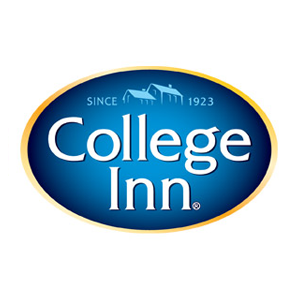 Introducing College Inn‘s Bone Broth, now available in King Kullen. Bone Broth contains 10x the protein of regular broth and offers a variety of health benefits. Bone Broth is low in calories and fat and contains vitamins, minerals and amino acids your body needs to function. It is rich in calcium, iron, potassium, magnesium, phosphorous and more. It contains vitamins A, B, C and K. Drinking bone broth with boost your immune system, aid in bone health, improve joint health, prevent inflammation, boost detoxification, and more! College Inn is the first bone broth positioned for cooking, not just sipping and it is 100% natural, contains 10 grams of protein per serving and provides collagen. It is non-GMO, contains no MSG, artificial flavors or preservatives and is gluten free and 99% fat free. Look for College Inn Bone Broth, available in chicken or beef, the next time you visit your local King Kullen.